The NOMAD IR rapidly deployable camera enables you to provide a fast response to a wide range of situations. The NOMAD IR camera has built in infrared illumination which enables it to see in total darkness at ranges of up to 100 metres, the perfect solution for unlit areas such as streets, parks, building sites and children’s play areas. The NOMAD IR can be rapidly deployed on lamp columns within just a few minutes and you can use them as temporary as well as completely permanent installations. The systems draw minimal power through their 3G / 4G operation and wireless connections. These cameras are perhaps some of the most versatile CCTV solutions across the UK for rapid deployment solutions. 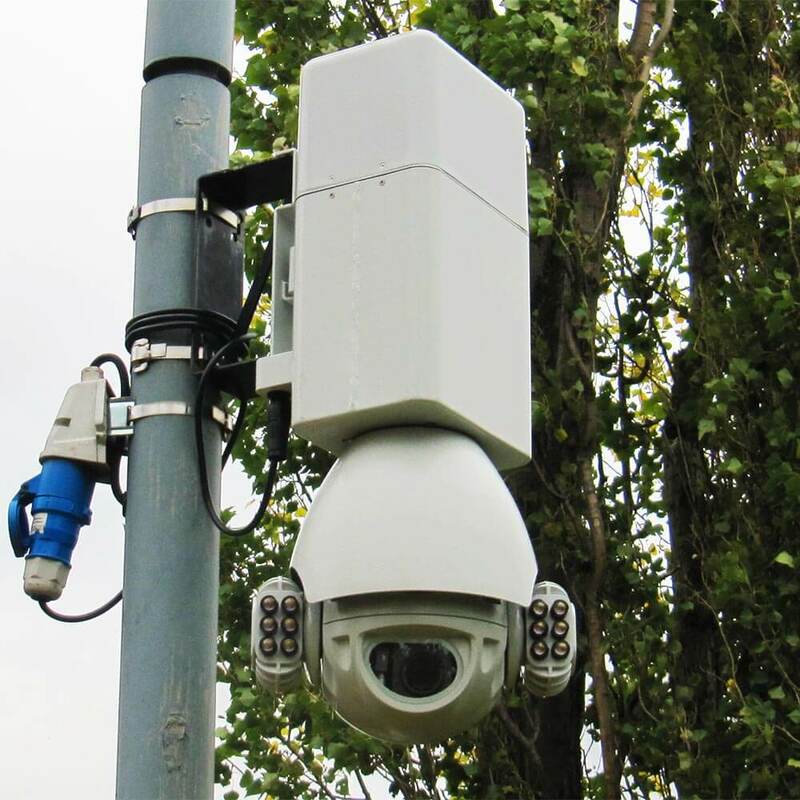 The NOMAD IR wireless redeployable camera system provides a fast and reliable response to cover a wide range of situations including anti-social behaviour, town centre monitoring and event coverage. Simply installing the NOMAD can provide an instant deterrent against crime. The NOMAD IR can be deployed on lamp columns in minutes and used for both temporary and permanent installations and draws minimal power, making the system both versatile and cost efficient. The NOMAD IR has a night time auto switch included, which allows capturing of footage when dark. Its illumination switches on/off automatically as day turns to night and the beam is not visible to the human eye. While other surveillance cameras may fail or produce a poor quality image at night, with these two distinct modes, the NOMAD IR can work no matter what time of day it is. All NOMAD cameras come with simple, easy-to-use software, designed to allow you to monitor your cameras with ease so you can fully optimise your operations. 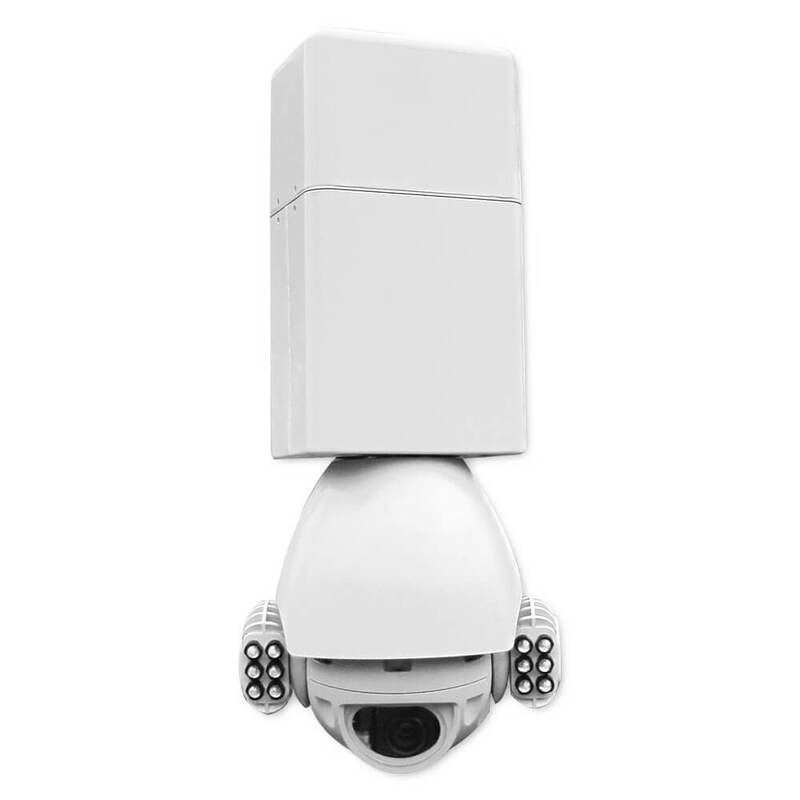 With secured access, you could monitor your cameras anywhere with an Internet connection or connect directly to the camera via your wireless network. Having the ability to monitor your cameras will ensure that you can turn them in a favourable direction to capture the best possible footage. For small communities that need a CCTV system installed, all of the appropriate software and connections can be set up via 3G and 4G* to ease the process of set up as well as ensure that the entire system can be transported and moved for temporary events, job sites and more. Using NOMAD cameras makes the process of downloading footage over Wi-Fi astoundingly simple. You can also view footage directly in your office via 3G or 4G*, as well as record live events on your computer as they happen, allowing you to produce clear snapshot images for use as evidence. After evidence is captured, it's very simple to export evidence into video files on the computer, burn DVDs, or send out videos directly to law enforcement for criminal cases. As well as redeployable for set up in almost any area, all NOMAD cameras use a special mounting bracket for rapid deployment in any space. Rather than having to struggle with the process of deployment of the device, it can be moved or potentially set up and activated in minutes. Unlike some other CCTV solutions which are not capable of rapid deployment, you can get up and running in just a few minutes with any NOMAD camera and be extremely confident in its capabilities. All our NOMAD cameras are quality assessed by our professional engineers and backed by our guarantee. We stand behind each and every one of our products and we will provide full email and phone support for each one of our customers. As we back up our products with a full warranty we can also provide maintenance and troubleshooting from your purchase and throughout the lifespan of your product. * 3G/4G connectivity is an optional extra. Only works provided network coverage is available.